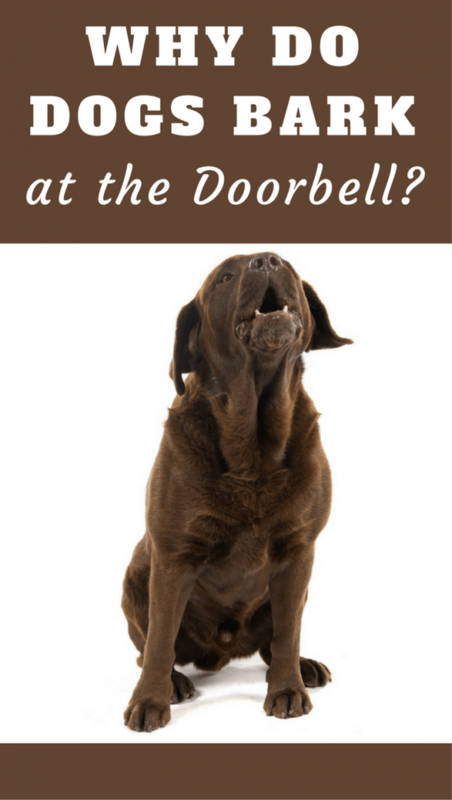 Home INFOBITES	Why Do Dogs Bark At The Doorbell? 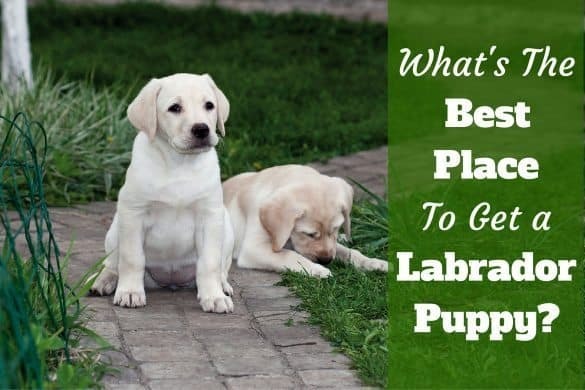 Labradors are well known for being a placid and even-tempered dog breed but, just like so many other dogs, when the doorbell rings or there’s a knock at the door, you can be sure that a round of barking is never far away. What are the reasons for this? Most dogs have learned to associate a noise at the door with there being a person on the other side, wanting to come in. Your dog knows this, and they want you to know about it too, so they let you know the best way they know how – by barking, of course! With such excellent hearing, dogs will often hear someone approach the door before the bell rings, and almost certainly before you hear them. 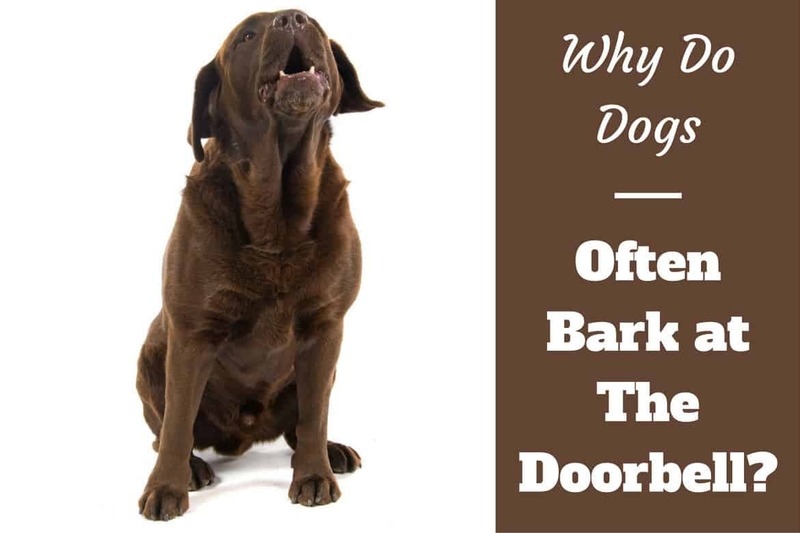 By barking, your dog is calling you to action to answer the door, as they know that that’s the quickest and most effective way to get your attention. Dogs are excellent at associating sounds with certain actions – that’s why clicker training is such a popular way to train – and the sound of the doorbell is no different. They’ve noticed the pattern of events that happen after the door goes: they bark, you walk to the door and open it, before reacting to what’s on the other side. As far as your dog is concerned, they need to bark before you know to answer the door. Regardless of how domesticated they are, many dogs still see themselves as the self-appointed ‘guard’ of the home and your family. When the doorbell rings, that’s an interruption of the status quo and potentially someone coming to upset your Lab’s environment. By barking, they assert their authority and alert the intruder to their presence as a guard. Your Lab knows that there’s either something good or bad on the other side of that door. There could be an intruder, but there also could be a family friend who might like to pet them, or – better yet – a pizza delivery! Their barking indicates a mix of excitement and warning, depending on the circumstances. It’s worth noting that your dog will often take its emotional cues from you – if you’re excited to greet a friend at the door, they’ll be excited too. If you’re worried that someone’s arrived to threaten you, your pup will probably sense your fear and react the same way. There’s an easy way to tell if your dog feels scared or whether they think that their territory is being threatened when they bark at the door. The Humane Society say that canine body language reveals a lot here: if their ears are back and their tail is low, they’re likely scared, while a threatening posture with a high tail and ears up and forward indicates territorial behavior. 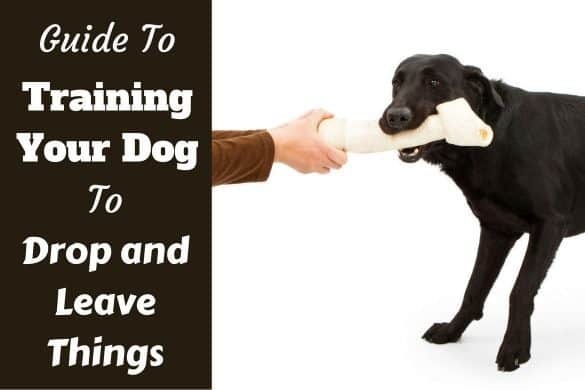 Try and work out the motivations behind your dog’s barking as that will better equip you to train them out of it. Why do most dogs love a game of fetch? Why do dogs eat when they’re sick? Don’t fear if your Lab is a serial doorbell barker; all is not lost and you can certainly train them out of this behavior if you’re willing to put in the time and effort. As we mentioned earlier, dogs are great at associating sounds with certain actions and behaviors. The key now is to retrain them into associating the sound of the doorbell with a calm reaction. Equip yourself with some treats and practise every time someone comes to your door (and perhaps more frequently if you don’t have too many visitors). Don’t shout at your dog to stop barking as the volume and panic in your voice will probably inspire more barking from your Lab as they react with fear. Instead, when the doorbell rings, softly call your dog away from the door and get them to sit, rewarding them with a treat when they comply. Try this command multiple times and make sure to call them into different areas of your home once they get the hang of it. You can even use a clicker to reinforce these behaviors if your dog responds well. Every time your dog doesn’t bark at the door but instead obeys your commands, make sure to treat them. Eventually this will become ingrained to the point that they will automatically associate the sound of a doorbell with a treat. At this point, you won’t need to treat them every time, but still should occasionally in order to hold their interest and keep their behavior calm. If you have more than one dog, make sure to focus on the most dominant one first while you train, as this will make it easier to train the others as they learn the correct behavior from their alpha. 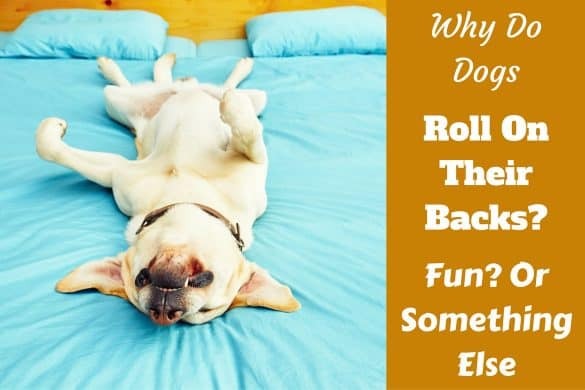 Why Doesn’t My Dog Bark at The Door? If you have brought home a new puppy and have discovered that they haven’t learnt to bark at the door yet, then be very thankful for your stroke of luck! 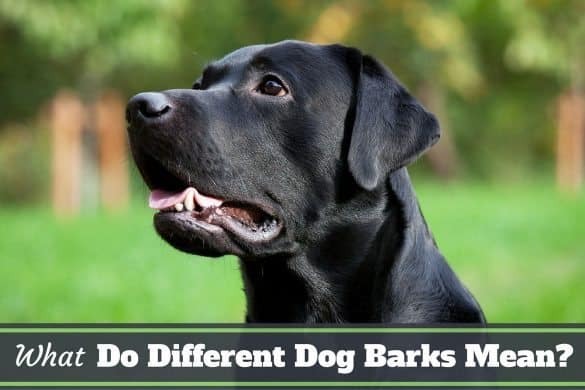 Barking at noise interruptions like a doorbell ringing or a knock at the door is a learned behavior and if your pup doesn’t bark yet, it just means that they are yet to pick up this bad habit. But don’t rest on your laurels – just because your puppy doesn’t bark at the doorbell yet doesn’t mean that they won’t next time or next month. Instead of taking their silence for granted, reward them for their calm behavior by giving them a small treat every time they’re quiet when the door goes. This will mean that they continue to associate the sound of the doorbell with good behavior and treats, so will be unlikely to start barking at it in the future. 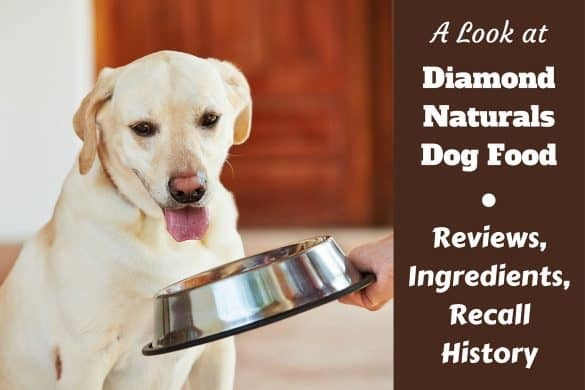 Training your Lab to associate the sound of the doorbell with good things (treats and praise) has far-reaching benefits for their behavior, past simply not barking. For instance, they’re unlikely to develop irrational fears towards interruptive noises and should be more inclined to be friendly and welcoming to your house guests, rather than territorial and threatening. 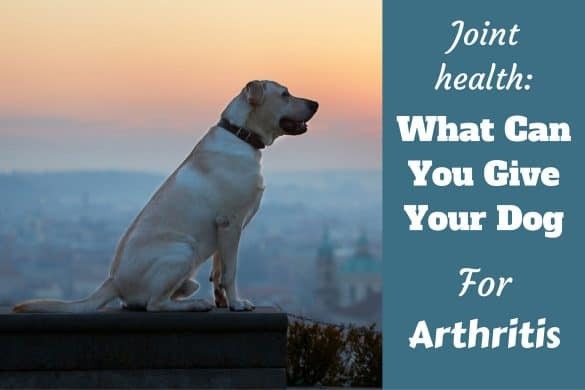 Labrador Joint Health: What Can I Give My Dog For Arthritis?